Successful career networking doesn’t have to be an awkward experience, but instead a powerful way to develop long-term connections with others. 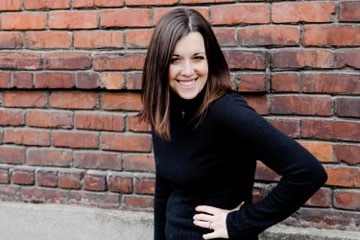 Mindy Lockard, a lifestyle etiquette writer and speaker, will present “The Secret to Successful Networking is a Four Letter Word,” at the eighth annual Get Connected event in Portland. Sponsored by the University of Oregon Career Center, it is scheduled from 5:30-7:30 p.m. on Wednesday, Oct. 12, in the White Stag Block, 70 NW Couch St., Portland. The event offers an opportunity for participants to connect with professionals including UO alumni, parents and employers in areas such as athletic and outdoor, software and technology, communications, design, healthcare, environment and technology, and nonprofits. Lockard, a regular television expert for programs such as Good Day Oregon, Huffington Post Live, and KING 5 Seattle, has been featured in publications such as Forbes Woman, Oregon Business Magazine, InStyle Magazine and Real Simple. Her workshop will focus on igniting appreciating for connecting with others and leading the audience in networking exercises. The event is free for current students and 2016 graduates, $10 for UO Alumni Association members, and $15 for non-members. Registration is requested by Oct. 10. Prices increase after that date. For more information and to register, visit http://uoalumni.com/getconnected2016.